This iPhone doesn't include its original box. As well as a great value iPhone, you will also receive FREE Cleaning Cloth. FREE Sim Opening Tool. FREE USB Charging Cable. Cordless trio handset. The most durable glass ever in an iPhone, front and back, new steel substructure and a stronger, The oleophobic coating lets you easily wipe off smudges and fingerprints. A new generation of iPhone, the iPhone 8 introduces an all-new glass design, the smartest and most powerful whip you have ever seen in an phone. Condition is Used. Also phone is on o2 network. With a bit of TLC this phone is as good as new. I only used this phone for around 1.5 years then upgraded. iPhone 8 32GB (EE). Condition is Used. Dispatched with Royal Mail 1st Class. Phone is like new (always kept in a case) apart from very very slight marks on the screen that are only noticeable when examining very closely. Selling as I’ve now upgraded. Apple iPhone 8 - 64GB - Gold (Unlocked) Smartphone. This phone has been network unlocked so will work with any network. Battery condition will vary depending on previous device usage history. 64gb Space Grey. Unlocked to all networks. Apple Iphone 8. When this was done the screen lifted a little in the bottom corner - See Photos. U sed Condition with light general ware all round the phone - no heavy marks/ dints or cracks. Apple iPhone 8 - 64GB - Space Grey (Unlocked) A1905 - Overall Good Condition. There are a couple of minor cracks - one on the top left of the screen bezel (not on the LCD part of the screen itself) and another minor crack on the bottom right back. Apple iPhone 6S - Space Grey, Boxed, used but in immaculate condition. This iPhone was been hardly used before being replaced with a Samsung as I just can’t get used to the iPhone, so there is a genuine reason for the sale. I have done a hard set back to the factory settings. 5 out of 5 stars - Apple iPhone 6S - Space Grey, Boxed, used but in immaculate condition. 20 product ratings20 product ratings - Apple iPhone 6S - Space Grey, Boxed, used but in immaculate condition. Mint condition small mark on silent button and near screen but very small. Unlocked with box and all accessories. Apple iPhone 8 - 64GB - Space Grey (Unlocked) A1905 (GSM). Condition is Used. Dispatched with Royal Mail 1st Class. Unlocked to any network. Apple iPhone 8 Space Grey. Apple iPhone 8 - 64GB - Gold (Unlocked) A1905 (GSM). Condition is Used. Dispatched with Royal Mail 1st Class. Apple iPhone 8 - 64GB - Space Grey (Unlocked) Smartphone. Unlocked to all Network. Factory Reseted. Brand new. Sealed. Factory unlocked. Comes with 1 year manufacturer warranty. Any questions feel free to ask. For Sale - iPhone 8, 64GB, Silver. The phone is unlocked and can be used with any UK network. The reason this iPhone is being sold, is due to an upgrade to the iPhone XS. The iPhone is in a USED condition. Apple iPhone 8 - 64GB - Space Grey (Unlocked) A1905 (GSM). Condition is Used, only 3 months old, this phone is still like new. Dispatched with Royal Mail 1st Class. Silver iPhone 8 - 256GB storage. Great condition. I've upgraded, hence sale. No box or accessories. Apple iPhone 8 - 64GB - Gold (EE) A1905 (GSM). Condition is Used. Dispatched with Royal Mail 1st Class. 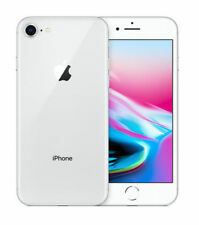 This listing is for a brand new unlocked iPhone 8 256gb in silver, the handset itself is brand new as are the earphones and charging plug, the only used item is the lightening cable which is in excellent condition. Please feel free to ask to any questions and check my feedback. Good luck and happy bidding!! IPhone 8 // 64 GB // Unlocked // Space Grey. ❌Rear glass has two minor cracks on both upper sides as seen in last two photos. Button & Touch ID is not working. These issues are reflected in price. ✅Screen in perfect condition. Apple iPhone 8 Gold 64GB. This handset has a Global Resale 12 month warranty. Video will open in a new window. Paste link into a browser window:[isdntekvideo]. See our facility in the video below. • LCD in good working order no pixels missing. When inside a pocket or bag, your Apple iPhone could easily pick up scratches on its most important feature - the screen. However, the Anti-Shock Tempered Glass screen protector will help to protect your screen from picking up these scratches. Apple iPhone 8 - 64GB - Space Grey - (O2) - Newly fitted screen see photos - few signs of wear and tear to back and hairline cracks but phone is fully working - reset to factory and on O2 network. Apple iPhone 8 - 64GB - Space Grey (Vodafone) A1905 (GSM). Condition is Used. Dispatched with Royal Mail 1st Class. *NO RESERVE PRICE* As you can see from the pictures this Apple iPhone 8 is used. The back cover is completely smashed and some of the glass is missing. All four of the phones corners are scratched. The screen has some light scratches with wear and tear but works 100% This phone is locked to the Vodafone network but can be unlocked for a small fee on EBay. Everything works as it should. Phone does not come with box or charging cable. I am selling an my iPhone 8 64gb in Space Grey. The phone is in very good condition although there is signs of general use on the screen. The phone comes in the original box with unused headphones, genuine charger and lightning cable and all accessories. The phone is unlocked to any network and comes with an Apple Warranty which will expire in Feb 2020. Feel free to message me with any questions. Network: Unlocked. Colour: Space Grey. 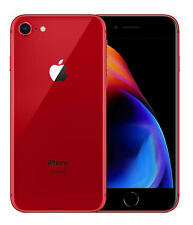 The phone has been erased and reset to factory settings, so when the phone is started, it is as though it has been bought new and is ready to be set up to a new user. Portrait Lighting (beta). Sapphire crystal lens cover. Built-in microphone. Playback zoom. Optical zoom; 6x digital zoom (iPhone 8 Plus only). AirPlay Mirroring, photos, and video out to Apple TV (2nd generation or later)6. 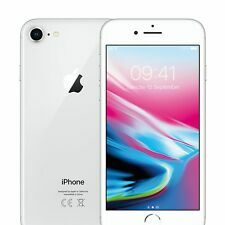 Apple Iphone 8 256GB Silver. The iphone is factory unlocked to all networks. Apple Case. USB Data Cable. Matching Box. Apple iPhone 8 Rose Gold 64gb EE. Condition is Used and SOLD AS SEEN. The next device in Apple’s line of smartphones is the new iPhone 8. 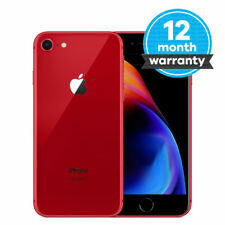 Using designs from the previous iPhone models alongside technological specs very similar to the new iPhone X , this new Apple smartphone offers serious functionality. Great for those looking for something less expensive than the X, the new iPhone 8 gives you affordable access to Apple’s latest developments. Available in either gold, silver or space grey, the iPhone 8 features adurable glass screen and back side that’s reminiscent of the iPhone 4 range. The external glass casing is water and dust-resistant, ensuring your smartphone lasts for longer.The 4.7 inch Retina HD display outputs high quality images, showing deep colours and intricate details alike. A 12MP camera with a 5x digital zoom ensures that you can take crisp images and record in 4K at up to 60fps. Optical image stabilisation actively works to stop any blurring in pictures and keeps video recording stable. The FaceTime 7MP camera lets you effortlessly take stunning selfies.What is more, the speakers in the new iPhone 8 have been retuned to give a 25% louder audio output with fuller bass. Wireless charging lets you easily top but the battery life through the internal wireless charging system. An A11 Bionic chip ensures that processing and graphic speeds are lightning fast. With faster CPU speeds than the previous A10, this new chip ensures that the iPhone 8 can handle any task you throw at it.Touch ID functionality ensures that only you have access to your phone through fingerprint recognition software. Apple Pay lets you use the iPhone 8 for contactless payments in shops, in apps or online.With up to 14 hours of talk time, 12 hours of internet use or 40 hours of audio playback, the new iPhone 8 has more than enough life. To keep you on the go, fast-charge can get up to a 50% charge in just 30 minutes. The iPhone X is the next step in the evolution of Apple smartphones . This model is completely redesigned, swapping out the home button for an edge-to-edge screen. Cutting edge technology includes facial recognition software for unlocking your device.